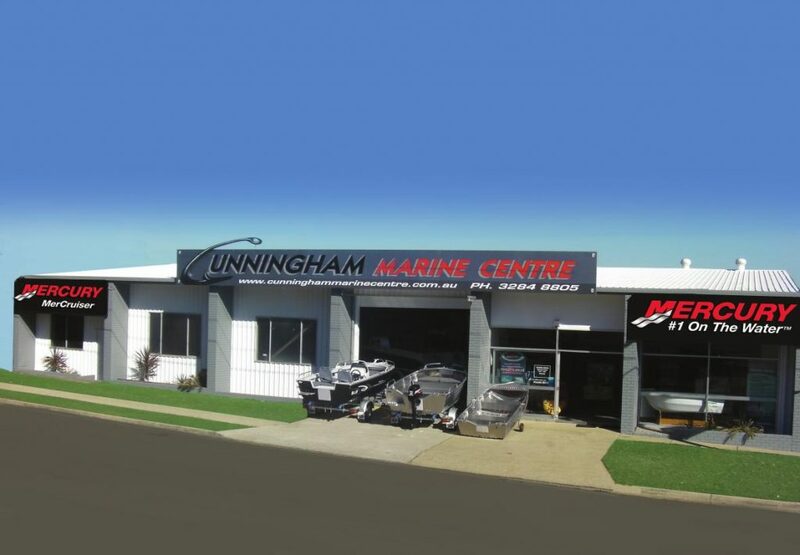 Welcome to Cunningham’s Marine Center, located at Clontarf on the Redcliffe Peninsula, gateway to Moreton Bay & Islands offering superb boating, fishing or cruising. Only 30 Minutes drive from Brisbane CBD. Just off the highway! Open 6 days a week !! With over 37 years industry experience in the retail & repairs of boats & motors , i’m certain we can cater to your every boating need! A complete one stop boating facility, offering a great range of new & used boats, motors & trailers, Spare parts & accessories; including sounders, fish finders, GPS, marine radios, spare parts for all outboard makes & models, canopies, Bimini tops, Minn Kota electric motors, oils & much more, all undercover in our air conditioned showroom. Proud stockist of Blue Fin aluminium boats, Smartwave Poly Boats, Revival Fibreglass Boats & PVC Inflatables. We also service & repair Mercruiser Sterndrives & inboard motors. So do yourself a favor & come & check us out soon. From small cartopper dinghy’s to large cruisers & offshore fishing rigs, we will be ready & waiting to cater for all your boating needs!